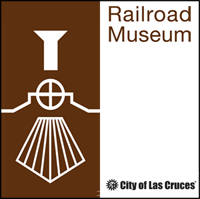 The Rail Readers Book Club meets at the Las Cruces Railroad Museum at 11:00 am on the 3rd Wednesday of each month. On January 15 we will discuss the second half of More Than Petticoats: Remarkable New Mexico Women, written by Beverly West. This book highlights twelve remarkable women in our state’s history. Artists, architects and free thinkers, born between 1850 and 1908; Native American, Hispanic, and Anglo – these women made history and helped shape our state in its early years. Each biography is brief and filled with just enough information to whet your appetite for more. The More Than Petticoats series of books has been written for most of the states in the country. This book is available at the Thomas Branigan Memorial Library.